Virginian Cedarwood essential oil has a dry, woody, oily aroma reminiscent of pencil shavings. With similar properties to Atlas Cedarwood this oil is useful for nervous disorders, respiratory problems and for oily skin and dandruff. Virginian Cedarwood, also known as Red Cedar, is a slow growing evergreen tree that grows in the east of America and south-east Canada. It is not actually classed as a true ‘cedar’ as it belongs to the Cupressaceae family and not the Pinaceae family to which Atlas Cedarwood belongs. 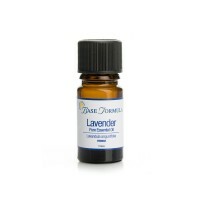 The essential oil is steam distilled from sawdust and other timber waste and is used extensively for fragrancing a wide range of toiletries and cleaning products. When used therapeutically the oil’s properties are very similar to those of Atlas Cedarwood - although the latter does tends to be the favoured choice for many aromatherapists. Often used in blends for men due to its woody, masculine fragrance. Use in moderation (max 2% dilution). Do not use while pregnant or on sensitive skin. Virginian Cedarwood essential oil has antiseptic, astringent and anti-seborrhoeic (sebum controlling) properties which can be beneficial in the treatment of acne, oily skin, dandruff and seborrhoeic eczema. Virginian Cedarwood oil acts as a tonic on the nervous system. It has a sedative, calming effect and can be helpful for the nerves, anxiety and other stress-related problems. Also said to be good for lack of concentration and transforming negative emotions. Cedarwood’s expectorant properties are good for coughs and bronchitis, particularly when used in steam inhalations. It can also be beneficial in a local wash for treating urinary tract infections (UTIs).